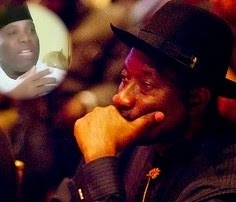 The Senior Special Assistant to the President on Public Affairs, Doyin Okupe from a reliable source in the State House is in serious trouble with President Goodluck Jonathan. It was reliably gathered that President Goodluck Jonathan gave Dr Okupe the sum of N100 million in Dollars to mobilize the Labour and Accord Party in the South West since they agreed that President Jonathan is their joint Presidential candidate. Problem however started when Okupe didn't share the money as Jonathan instructed but started putting up a very expensive mansion. He was said to have also bought a Range Rovers Sport. But his workers in the State House were not paid for three months leading to the presidential election. “I have taught that the Election period will be our breakthrough but unfortunately, it was the worst as Dr Okupe could not even engage us in any of the campaign activities despite the facts that we are in Public Affairs in Presidency.” a senior staff in his office said. "I think the man is good but his dilemma is his elder brother, Wemimo Okupe and wife, Yemisi Okupe. In fact, Wemimo Okupe is the Chief Operating Officer that controls the finances of Dr Doyin Okupe according to our source in the State House. He determines who to pay and what to pay to any of the staff including those that worked in the defunct Federalist Newspaper owned by Dr Doyin Okupe." The Federalist Newspaper was another source which Okupe used to siphoned money from Presidency and friends of the Presidency. A female staff of the defunct paper said the Newspaper was operated like a cult business and that was the major downfall of the paper! Sources alleged that President Jonathan is insisting that all those who ate his money must return them.